For Muslims, Ramadan is observed to mark Allah giving the first chapters of the Qur’an to the Prophet Muhammad (May peace and blessings be upon Him). The observance of Ramadan balances a month of fasting and prayer from dawn to dusk, followed by feasting with family and late night prayer or Tarawih. Ramadan is a solemn obligation for all Muslims according to the Qur’an (chapter 2, verse number 183) and one of the five pillars of Islam. 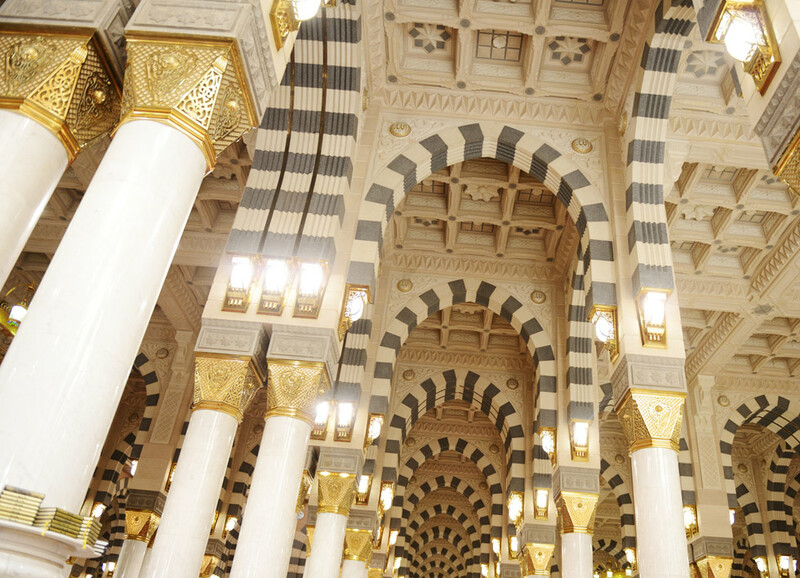 Makkah is the ultimate place to observe Ramadan for Muslims, and only the Muslim faithful may enter the city. 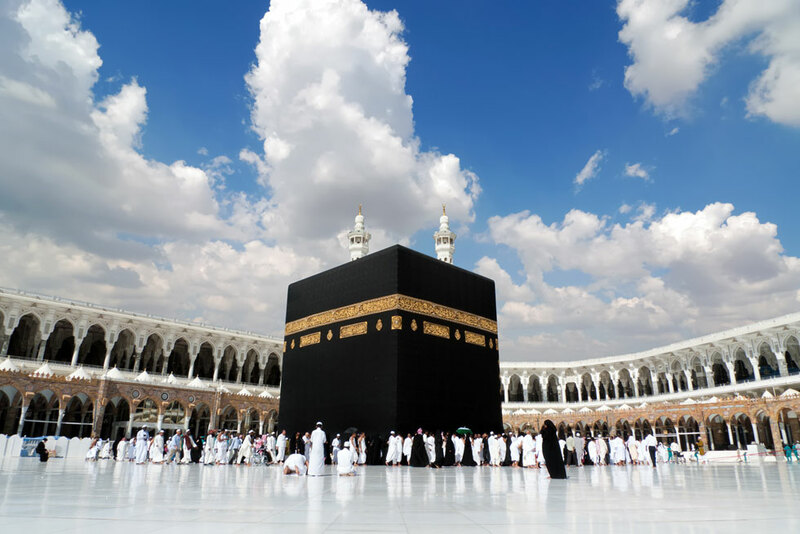 Located in the western deserts of the Kingdom of Saudi Arabia, the city of Makkah is the epitome of “scorched dryness,” which is the root of the word “Ramadan.” The Prophet Muhammad (May peace and blessings be upon Him) was born in Makkah, and he received the Qur’an from Allah in the caves of Jabal al-Nour to the north of the city. Makkah Clock Royal Tower, a Fairmont Hotel is at the very heart of the city and the perfect location for guests combining the observance of Ramadan with the performance of the umrah pilgrimage. 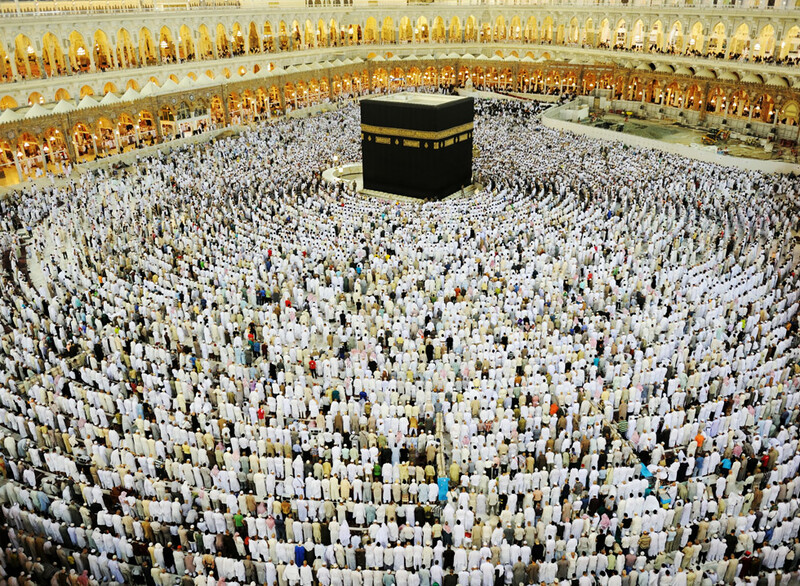 The hajj pilgrimage is compulsory and must be performed at a specific time. Umrah, on the other hand, is recommended. That means it can be performed at any time and can coincide with a visit to Makkah when a visitor wishes to witness Ramadan. 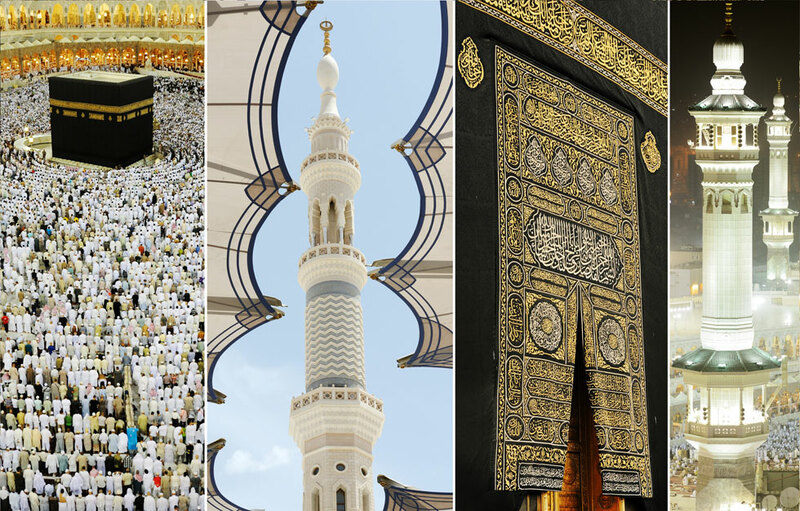 Located in the Abraj Al Bait complex, and offering magnificent views, Makkah Clock Royal Tower Hotel is adjacent to Al-Masjid al-Haram (the Grand Mosque) and the Ka’aba, the place where the faithful walk to perform Tawaaf as part of their pilgrimages. 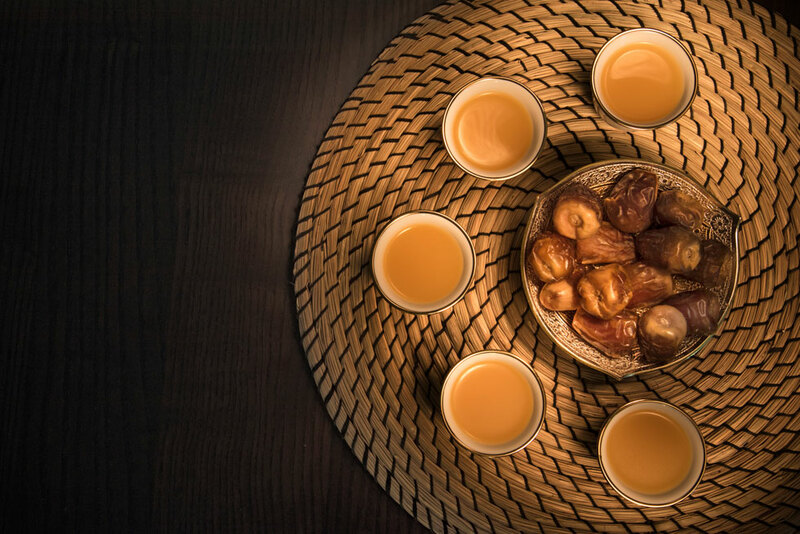 As no food and drink can be consumed between dawn and dusk during Ramadan, preparing and breaking the fast,"sawm" in Arabic, assumes great importance. Hosting visitors from around the world with their different tastes and cuisines, the Makkah Clock Royal Tower Hotel presents a wide variety of international foods and menus in its nine in-house cafés and restaurants. 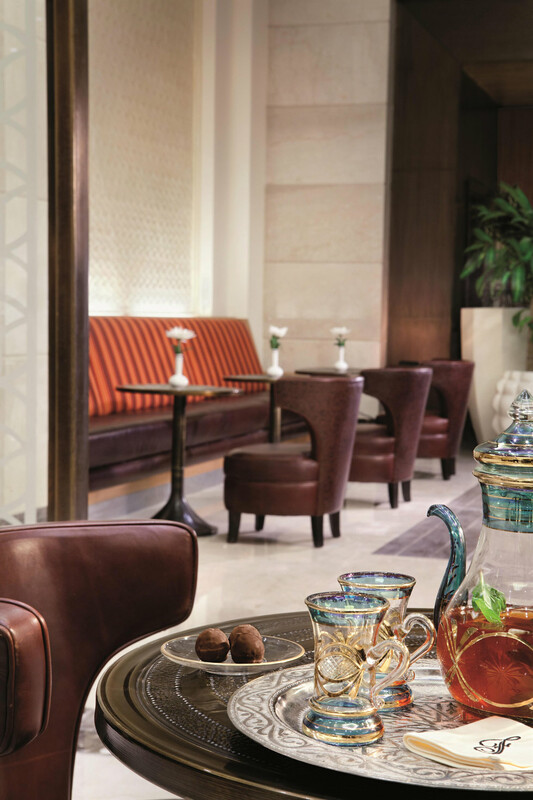 The hotel also caters to locals and foreign visitors who want to sample traditional Saudi fare such as the famous honey-dipped pastries, palm dates, sambusaks (fried savory pastries) and smooth, dark Arabian coffee. Days in Makkah may be spent in pilgrimage at religious sites near Makkah Clock Royal Tower Hotel, including the Grand Mosque and the Ka’aba, which pilgrims walk around seven times, the Black Stone, which they may kiss or touch, the Zamzam Well, which they may drink from, or the Safa and Marwah hills between which they walk and upon reaching the green lights run. Visitors can range farther afield to additional locations important to Islam, including Jabal al-Nour (Mountain of Light), Jabal Thawr (Mount Bull) and al-Masjid an Nabawi (The Prophet’s Mosque), the burial place of the Prophet Muhammad (May peace and blessings be upon Him) in the city of Medina, which is approximately a 4.5-hour drive. No matter how visitors choose to spend their Ramadan days, they need to eat and fortify themselves with suhoor, the pre-dawn meal. 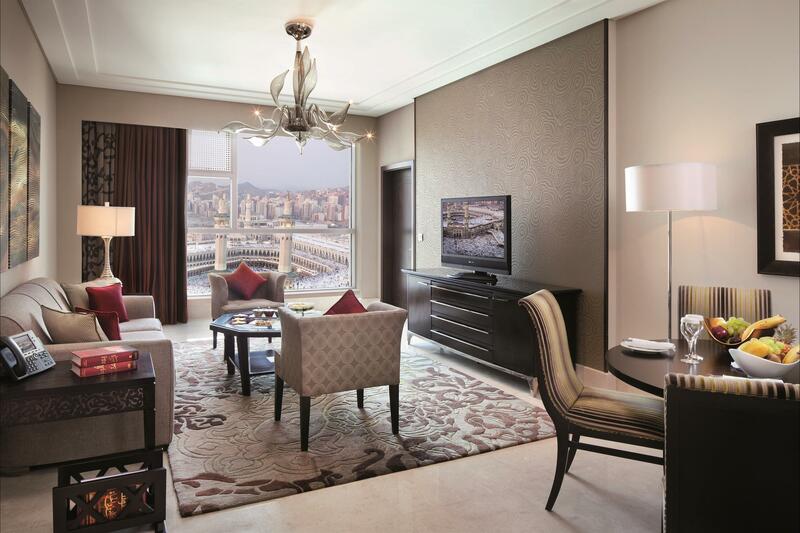 The Makkah Clock Royal Tower Hotel offers a buffet suhoor that prepares guests for the day of abstinence ahead. The eggs, fruit, pancakes, waffles, breads and porridge served by the hotel might be found on any normal table around the world where people are doing the opposite: breaking their fast (breakfast) instead of preparing for a fast. The Prophet Muhammad (May peace and blessings be upon Him) is said to have broken his fast by eating three palm dates, a tradition still followed by many Muslims today. Many also follow the prophet’s example of taking iftar as an opportunity to perform an act of Sunnah. For most Muslims, iftar and the time after sunset are a chance to feast with family. The Makkah Clock Royal Tower Hotel spares no effort to facilitate feasting with its restaurants drawing large numbers of guests and visitors nightly. The restaurants serve dishes from around the world, including Chinese, Indian, Italian, French, English, Afghani and Ethiopian cuisine. The restaurants also offer dishes from the Maghreb, Egypt, and the Levant, including Moroccan harira soup (a spicy chick pea and lentil soup), Egyptian hawawshi (spicy minced meat in pitta bread), and Lebanese kibbeh labanieh (meat balls in yogurt soup). Homegrown dishes from Saudi Arabia include chicken saleek (milky rice and lightly spiced chicken), lamb ouzi on kabli rice (baked lamb on spiced rice), and different types of kebabs such as fried lamb kibbeh (a mixture of meat, bulgur or rice, onion and seasonings), adana kebab (ground lamb), and shis tawook (chicken kebabs). Ramadan ends with another celebration. Eid al-fitr is the feast of breaking the sawm, and Muslims celebrate by meeting and greeting each other and visiting friends and family. However, Eid al-fitr is more than just a time for food. While Ramadan requires abstinence, it does not bar shopping in Makkah’s many shops, including Makkah Mall, a short distance from Makkah Clock Royal Tower Hotel. Muslims seek out gifts to exchange or new clothes to wear during the feast of Eid al-fitr. 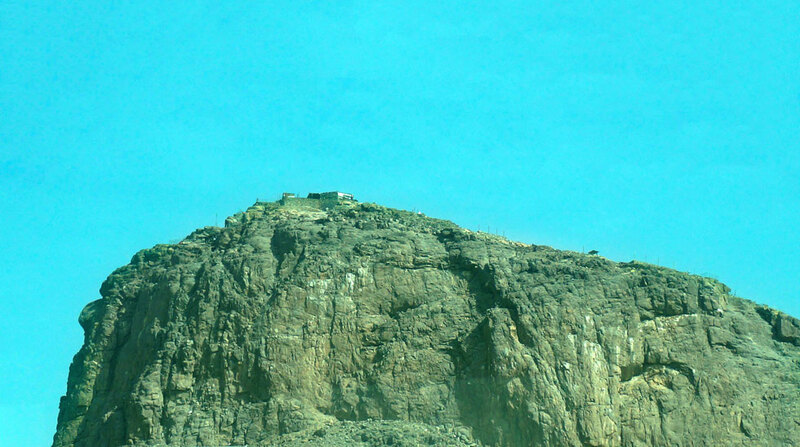 The deserts surrounding Makkah offer a harsh environment, and the observance of Ramadan imposes self-denial as part of religious devotion. Makkah Clock Royal Tower Hotel, through its location and five-star restaurants, extends the opportunity to observe, celebrate, and enjoy the rituals of Islam. As a correspondent for the world’s leading financial publications, including the Wall Street Journal, the Financial Times and the Economist, Henry Harington reached many, interesting destinations. International Living, where he was Managing Editor, celebrated the luxurious lifestyles and purchases of the world’s wealthiest travellers and property investors. He now works as a freelance writer.